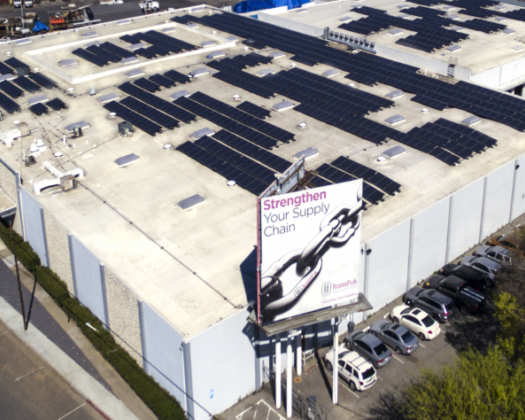 San Jose, CA (August 18, 2016) A core component of TransPak's leadership is our commitment to improving the impact on the environment caused by our products and services. We constantly look for new methods and materials that promote a sustainable supply chain. Through the promotion and use of recycled--and sustainable--raw materials, TransPak provides solutions for the packaging and crating products supplied to our customers that are kind to our environment. TransPak designs, engineers, and builds 100% reusable crates. High reusability is accomplished by designing interiors that offer easy installation and de-installation as well as are supported by our refurbishment and recycling services. Let us help you make a smarter, greener crate for your business. TransPak follows an aggressive recycling program for its waste stream. All scrap wood is ground and recycled into fireplace logs or press board, while all scrap foam is compressed into bales and converted into carpet padding and/or returned to the foam manufacturers for use in recycled products. A key metric in evaluating a company's environmental impact is its diversion rate. This measure how much waste a company "diverts" from landfill into recycling. TransPak's diversion rate has steadily increased into a targeted 95% for 2016, earning us an "A" as an environmental leader. This translates into over 6 million pounds of waste annually being diverted from landfills into recycling projects. All of us are joined together in our commitment to a healthy planet. If you are a company seeking accountability and leadership in this area, we look forward to working together. Email Ray.Horner@transpak.com for details or visit our website to learn more. Not just crates: Our packaging products use green, efficient, cost-efficient materials like EnviroKraft, a 100% Post-Consumer Recycled corrugated box.